We view individual therapy as a tool to help improve lives, relationships, and families. Removing those obstacles to your greater satisfaction, whether they are from the past or the present will help you feel better about yourself, improve your interactions with others, and feel more able to pursue your life’s desires. Our approach to therapy is collaborative. We perceive therapy as a process wherein we work together as a team to identify the source of your distress, develop a treatment plan, and use proven therapeutic strategies and techniques to decrease your discomfort and achieve your goals. Resolve the emotional distress associated with anxiety, depression, stress, or trauma. Improve relationships by enhancing communication skills, teaching conflict resolution skills, and helping set firm and consistent boundaries. Increase self-care by strengthening coping skills, improving management of transitions and life demands, and removing the barriers to nurturing the self. Resolve past or current issues that create barriers to the living of a more rewarding life. We strive to help couples develop balance within their relationships so that both partners can get their needs met in a supportive and loving environment. We understand that every couple is unique and their needs are different. So we tailor our approach to each couple and the individuals that comprise the partnership. Our goal with couples is not only the resolution of current issues but also an improved relationship and enhanced intimacy by helping partners understand how their past experiences may influence their current relationship issues. We realize that issues within relationships are not only significant to the relationship but may impact the personal needs of each individual involved in the relationship. Therefore, an improved relationship between partners can help improve the personal issues of each partner. Family therapy is frequently a helpful adjunct to individual therapy, especially therapy with children or adolescents. Family therapy helps family members improve their communication, resolve conflicts, and become functioning and more cohesive units. Family therapy can help parents improve their parenting effectiveness or improve their relationship with each other, and help adolescents improve their relationship with parents and siblings, as well as improve their academic and social functioning. Family therapy may also help families struggling with issues related to divorce, remarriages, step or blended families, trauma, loss or an illness. 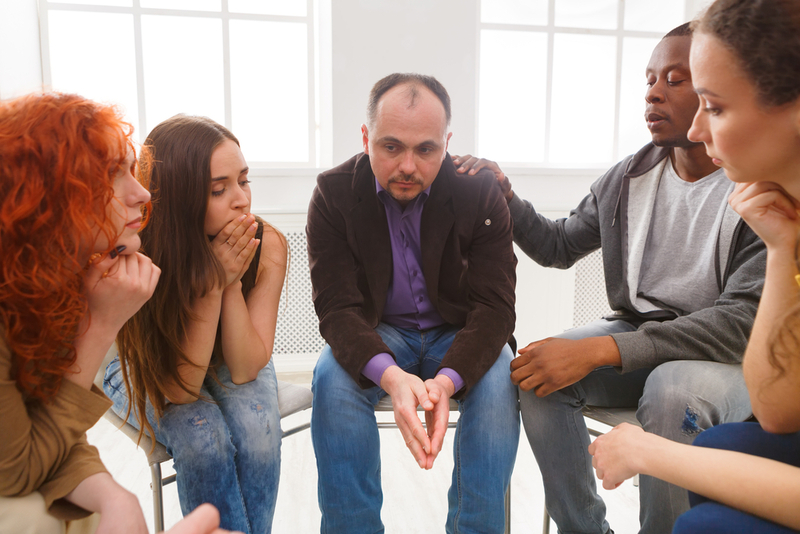 Group therapy can be a powerful method of counseling as a helpful adjunct to individual therapy or as primary therapy. Groups provide a safe environment which encourages and supports the members’ personal and relational growth. Group therapy is particularly useful for those seeking more connection in their lives and a stronger support base to grow and challenge themselves. Some groups are structured around a theme. Other groups, with less structure, help members learn more about themselves and the way they interact.